Writers of magazine profiles often look to connect with their subjects by talking about something they have in common. For Caitlyn Jenner and Buzz Bissinger, two of the things were cross-dressing and sports. That might sound unusual, but Bissinger is matter-of-fact about it. Bissinger wrote Vanity Fair's landmark 12,000-word profile of Jenner, which accompanied Annie Leibovitz's transformational photos and was published online on Monday. Bissinger has previously written and spoken about his interest in women's clothes, "leather fetish" and his sexual experimentation with men. The cross-dressing in particular gave him some "common ground" with Jenner, Bissinger said during a visit to CNN on Tuesday, part of a press tour that included stops at most of the major television networks. "I know what it's like to be different, and how a lot of people will ridicule you, as I was ridiculed," said Bissinger in an interview on CNN's "Anderson Cooper 360." In interviews with Bissinger and Diane Sawyer, Jenner has described wearing women's clothes as early as 1973. Bissinger's access to Jenner was arranged through Vanity Fair, where he's been a contributing editor for many years. Bissinger, 60, is perhaps best known for authoring the football book "Friday Night Lights." He also co-wrote "Shooting Stars" with basketball legend LeBron James. And Jenner, 65, is known worldwide for winning the Olympic decathlon in 1976. In a brief interview with CNNMoney, Bissinger said he thought Vanity Fair editor Graydon Carter steered the Jenner exclusive to him partly because of Bissinger's "sports-related background." Because Jenner is not granting any interviews at the moment, Bissinger is sort of speaking for her, helping to tell the story of an extraordinarily public gender transition. Early on in the Vanity Fair article, Bissinger calls Jenner's transition "the most remarkable story I have ever worked on in 38 years as a journalist." He acknowledges that what he had was special, calling himself "the only writer in the world with unlimited access to Jenner for a story of global interest, witness to the final months of one of the most iconic male athletes before he disappears and a woman appears in his place." He estimated that he spent "hundreds of hours with the man over a period of three months. Then I spent countless hours with the woman." His visits with Jenner started in mid-February, days after ABC's Diane Sawyer taped the sit-down interviews that were televised in April. In those interviews, Jenner identified as transgender for the first time, but still wanted to be called Bruce and didn't specify a new name. With Bissinger, Jenner identified as Caitlyn. Bissinger said he spent four to five days at a time with his subject. "I even helped him move," Bissinger said. In the article, Bissinger also mentions his own history within the context of often saying "he" (or even "dude") to Jenner instead of "she." "My miscues have nothing to do with intolerance — I have been a cross-dresser with a big-time fetish for women's leather and an open critic of the often arbitrary delineation between men's and women's clothing — but because it is a strange story regardless of all the important inroads that have been made by transgender men and women into the cultural mainstream," he wrote. Once the article was written, there were extraordinary security measures inside Vanity Fair to keep it a secret until the release date. 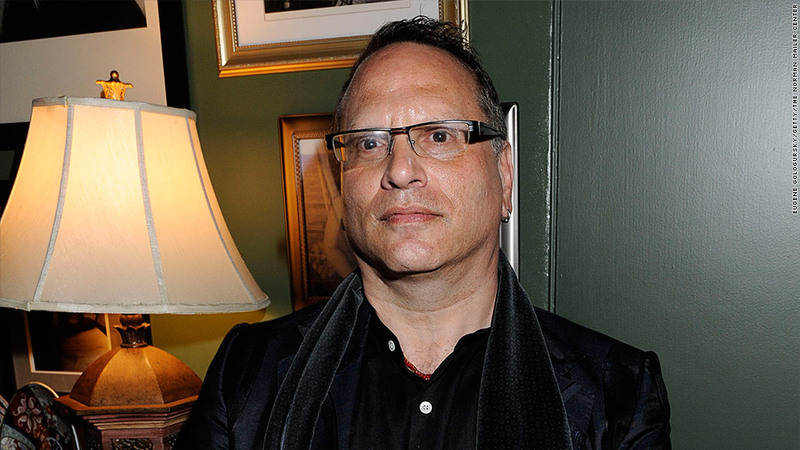 "It was like the dark ages of journalism," Bissinger joked to Cooper, describing how changes and corrections were made by phone and by hand, rather than by computer, to reduce the risk of leaks. Jenner wanted the Leibovitz photos, in particular, to be the first time people saw her as a woman. Bissinger recalled Jenner saying "I will not let a paparazzi make money off of me." The cover photo lit up the Internet on Monday afternoon, and so did Bissinger's article, although it was only accessible to magazine subscribers and to other web visitors who paid five dollars to read it. According to an internal memo from Vanity Fair's parent, Conde Nast, the magazine's web site "generated its highest-ever single-day traffic with more than 9 million unique visitors." The site also had its "best video day ever," with a total of 13 million video views. Might Bissinger write another book, this time about Jenner, thanks to the unique access he's had? Bissinger didn't dismiss the idea altogether but said he has "no expectations" for a book deal.